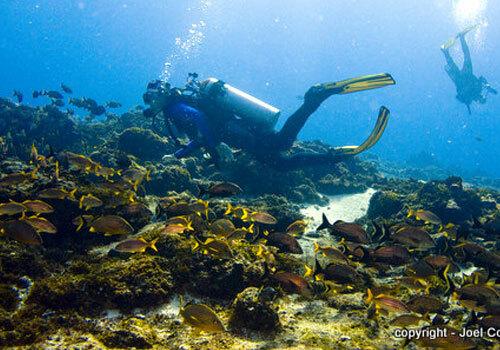 It is usually done as a second Cozumel Diving after Barracuda or Cantarel. Depth 40-60'. You can go deeper than this towards the drop off. Experience level. Expert, due to strong currents and danger of being lost at sea. Located on the north end of the island, this reef area can be dangerous for Cozumel Underwater Diving if current is running fast. There are few other boats there, if any. 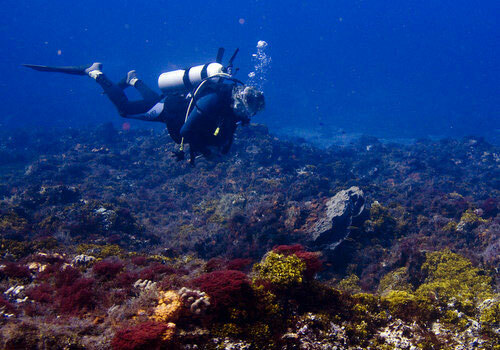 However, if the weather is good and the sea is calm, this is a very nice dive and can be done safely. Expect to descend, dive, and ascend as a group. 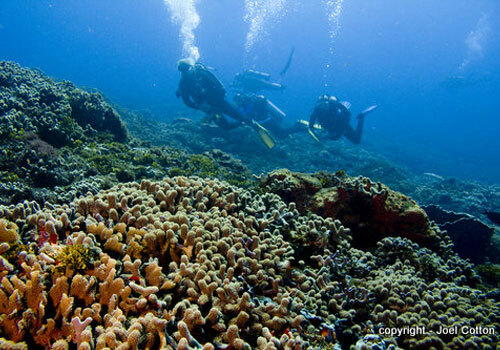 The coral here is generally low profile, dominated by huge beautiful fields of finger coral which houses thousands of Damselfish, and red seaweed, and strangely shaped barrel sponges. 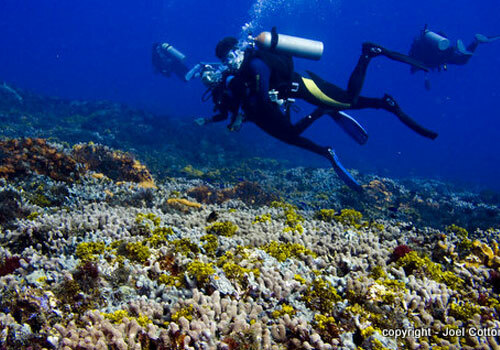 There are also nice patches of lettuce coral. There are a few ledges and overhangs with French Grunts and Schoolmasters under them, but are smaller than the ones in the Cedral reef area.